When you come to a fork in the road, take it……. After a long and expensive legal battle during the spring and early summer of 2008, we were able to move Warsteiner from RNDC in Florida, when they violated our contract, to the AB network of distributors on the west side. We were excited knowing we no longer had to deal with distribution issues or execution problems. The AB distributors were our choice, not only for their performance, but also due to their limited import portfolio. Warsteiner would be their first premium German import. Less than a year later, we were informed by the AB group that they were trading Warsteiner (and Grolsch) for some of their InBev brands to JJ Taylor. While JJ Taylor is an outstanding distributor, this action was upsetting. We had made the decision to approve the AB group based on their performance and competitive advantages and had spent a great deal of money to make this change. We felt we were used as “trade bait.” It was clear, we had no option, despite the fact that we wanted to stay with the AB network. Recently, it was reported that Glazer’s in Louisiana, which continues to divest their beer portfolio in markets where they do not have an MC operation, sold their brands to the AB distributor in New Orleans. 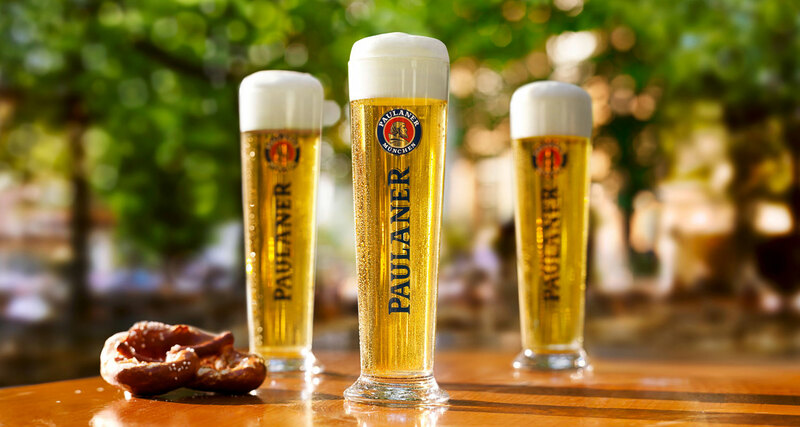 Part of the portfolio includes Paulaner USA products. Since Southern Eagle (the AB distributor) currently has Spaten in house, Paulaner, for competitive reasons, has decided not to approve the sale of their brand. Paulaner and Spaten are both from the state of Bavaria and well know for the Munich Oktoberfest. They are fierce competitors. So the question is: does the vendor have a say in who they want to distribute their products, or does the distributor? Perhaps the bigger questions is: who owns the brand? If the Paulaner distributor contract has a provision which addresses the approval process, then does contractual law take precedence over state statues? On many occasions, I have received notification from lawyers who represent a selling distributor of my brands, requesting approval to transfer to the buying company. In almost every case, closing was in a matter of weeks, giving us little time to determine which direction to go. Is it unreasonable for a selling distributor to reach out to the vendors and notify them of their intentions and ask their preference? Maybe it’s a matter of dollars? By opening early discussions, one would expect to eliminate potential legal costs. Winning is not a sometime thing; it’s an all time thing….. It wasn’t long after the Stroh Brewing Co. bought the Jos. Schlitz Brewing Co. in 1982, that Stroh decided to roll out their brands nationally using the Schlitz distributor network. My Schlitz distributorship was located in far South Texas, where, depending on your definition of what “summer” is, can last up to eight months. Stroh decided to brew the liquid in Detroit and ship it to the Longview brewery for packaging. We introduced Stroh to the South Texas market in the middle of the summer. Miller Lite was on fire at that time, and we were excited to have Stroh. Schlitz still had a sizable market share itself. 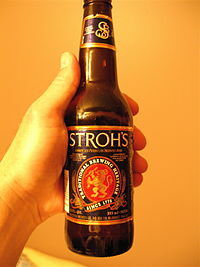 Stroh’s liquid from Detroit was much heavier than Schlitz’s, and even more so than Miller Lite. We got great distribution and trial, but given the heavy liquid, the brand never got accepted. The rest, as they say, is history. Later that decade I was in Oregon running Coast Distributors. In September of my first year, I overheard some ladies in the office discussing how hot the Oregon summer had been! I said, “You mean that one week where it was 90 degrees?” A summer in Oregon is more like a winter in south Texas! Crafts in the northwest were beginning to grow in popularity with a 1%+ share and breweries like Rogue, Full Sail, Red Hook, Widmer, Portland, and Bridgeport, were full flavor and high ABV. 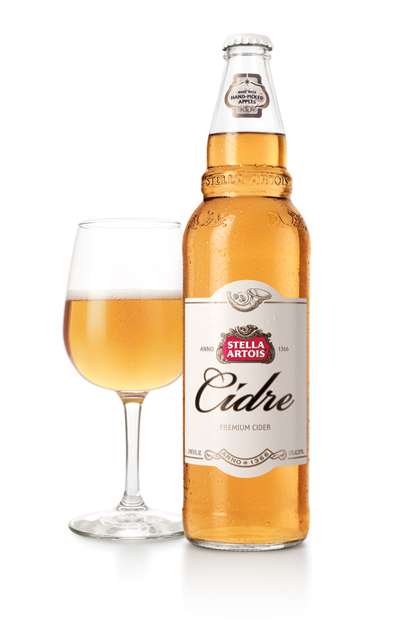 In other words, easy to drink in that mild and cool climate. As you know, crafts now enjoy over 30% share of the volume in the northwest. A recent addition of Modern Brewery Age highlights several of the sessionable light craft beers: Deschutes River Ale (ABV 4.0%), Avalanche Ale (ABV 4.4%), Kentucky Light (ABV 4.3%), and Starr Hill Grateful Pale Ale (ABV 4.7%). Recently, I sampled some of Mill St. Breweries products from Canada, two were around an ABV of 4%, and one was 5%. These included a wheat and stout beer. For years in Texas, the TABC, required that manufactures label beers with over 5% ABV, either an “ale” or “malt liquor.” So, if you had a German Pilsner with an ABV over 5%, you had to place the word “ale” somewhere on the label. Fortunately, most of these regulations in Texas have now changed to allow beers to be labeled correctly, as is done in other states. Historically, all breweries either adapt to the market place or they die. Now that the industry is experiencing this movement to sessionable beers, just how many IPA’s do we need? So the question is: are sessionable beers, crafts’ definition of “light beers?” For the smart breweries, winning is not a sometime thing, it’s an all the time thing! Two of the countries greatest golf courses are located in Pennsylvania: Oakmont, which is just outside of Pittsburgh hosts the US Open in 2016; the other course, located in Philadelphia, hosts this month’s US Open. While both cities are different in design, both are historic, traditional and highly regarded. 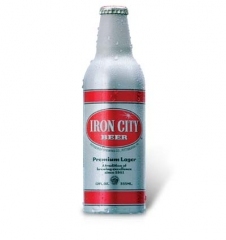 Near Pittsburgh, and not far from Philadelphia, are two of America’s oldest breweries: Iron City Brewing Co. (Pittsburgh Brewing) and Yuengling. Like many distributors, I once wrote to David Casinelli at Yuengling, hoping to establish an interest level while working at Glazer’s. Dave was kind enough to write back and explained that Yuengling had no plans to expand west. I responded to Dave’s letter informing him that it was the other way around, Glazer’s was expand east and would eventually be buying distributorships in their markets. This, by the way, has transpired. Later, I was contacted by Tony Ferraro from Pittsburgh Brewing, asking if Glazer’s had any interest in representing their products. We certainly did, and several of us were invited to spend a weekend at the brewery. We took a tour of the facility and learned the history of Pittsburgh Brewing. We had the opportunity to attend the annual “Dapper Dan” dinner honoring a local sports celebrity, and visited with golfing legend Arnold Palmer. Quite a treat for us. At the time of our visit, the brewery was packaging their beer in aluminum bottles. This was exciting as no one else at the time was marketing this package. Pittsburgh Brewing had been struggling when Allen Bond bought the company in the early 1980’s. Once he purchased G. Heileman, Bond combined the two together. Out of the bankruptcy of G. Heileman, Pittsburgh then was purchased by Michael Carlow, who was eventually convicted of bank fraud and other felonies. When Glazer’s came along, Joe Piccirilli, had control of the brewery. He too, ended up filing for bankruptcy as sales continued to fall. Twenty years ago, Pittsburgh’s volume was around 1 million bbls., by the mid 2000, it was less than 400K bbls. Recently, an investment company out of New York, United Growth Partners, purchased the Pittsburg Brewing, and moved the production of the beer to Latrobe, home of the old Rolling Rock Brewery now owned by City Brewing. Sales continue to decline. Today the brewery sells less than 100K bbls annually, and given the issues over the last 20 years, it’s local support has mostly disappeared. Yuengling, family owned and controlled since its founding, is now the fourth largest brewing company in the US. It never put itself in financial trouble, moved to craft-style products years ago, and positioned its price points giving the consumer value and quality. As a beer distributor, Yuengling is one of the countries most desirable brands and it is only in a hand full of states. When I introduced Krombacher in 2011, I told the wholesalers that the key to success was to get distribution in all key chains. While getting the sales number out of this distribution was important, the real key was to quickly find out how the consumer would accept the brand(s). Assuming there was not an issue with the liquid, important factors to consider were: how was the packaging, pricing, p-o-s, mother cartons and did the product message get to the consumer? I felt all along that these were the keys to long-term success. With the Krombacher introduction, we were fortunate to get some key authorizations early in the introductory. Binny’s, HEB, ABC and Total Wine, among others, all supported us. Because we had targeted Florida, getting Publix to come on board was of utmost importance. We were fortunate to align with most of the AB network, however, once we got in to present to the Publix buyer, we hit an unexpected wall. Given the introduction of Bud Light Platinum, and their massive marketing spend, the buyer expected a marketing program from Krombacher of similar size. He requested a BOGO for all 720 stores. The cost of entry was staggering, even for a brewery the size of Krombacher. In marketing terms, however, a BOGO is a relatively small expense for distribution and immediate exposure given the magnitude desired by Publix. At the recent Craft Brewers Conference, Bob Sullivan, VP of Crafts for Andrews Distributing, suggested that the “SKU challenge could best be handled by the dominant craft player in the area.” He went on to state that the local craft brewer is more likely to ” “look at the best interests of the retailer” and “craft expertise on schematics is ultimately the best bet for retailer profit.” Really? Kevin Stadler, the architect of AB’s fact-based chain selling in the 1980s, had these comments, “Ultimately, what is in the best interest of the retailer has to be defined by the retailer. What do they want out of the category?” Kevin further emphasized that if the objective is a full range of assortment, the retailer should look at customer behavior and work with a category captain that understands that category. If the goal is to maximize profits, the retailer needs to work with a category captain that has a complete model for cannibalization and halo effects. If the object is to highlight up-and-coming products and create a beer section that begs for repeated new product trail, then the retailer would want to understand the local landscape. If it’s a national retailer, and they want a consistent look and feel in all markets, then the category captain should be one with a national program. The real questions should be: is it in the best interest of the retailer, not, is it in the best interest of the industry? Does it increase volume? What is the spend per basket? And how is it beneficial to the retailer? Sully also states, “Crafts have a disproportional space verses mainstream beer.” Another way of putting it, domestics have been under indexed. Finally, Kevin believes that “you should use the tool that matches the problem, and ultimately the retailer needs to enforce a no-bias category captain policy with key performance indicators periodically checked.” Space, it’s the final frontier!.